Brent Spencer is a writer of novels, short stories, screen plays and memoirs. His publications include a novel, The Lost Son (Arcade Publishing) and a collection of stories, Are We Not Men? (Arcade Publishing), which was chosen by the editors of The Village Voice Literary Supplement as one of the best books of the year. 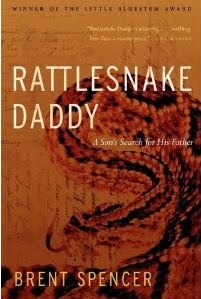 His most recent work is a memoir, Rattlesnake Daddy, published by Nebraska's own Backwaters Press, that works through the legacy of his father's cruelties and absence. Spencer directs the Creative Writing Program at Omaha's Creighton University. He is a recipient of the Wallace Stegner Fellowship from Stanford, where he was also a Jones Lecturer in Creative Writing, and the James Michener Award at the Iowa Writers' Workshop, where he earned his MFA. He has also been awarded fellowships from Yaddo, The MacDowell Colony, and The Millay Colony. He and his wife, Jonis Agee, have won awards for their screenplays. Spencer's work has appeared in The Atlantic Monthly, The American Literary Review, Epoch, The Missouri Review, GQ, and Writers Digest, among others. The program begins at 2:00 PM Sunday, March 20 in the Heritage Room on the 3rd floor of Bennett Martin Public Library in downtown Lincoln. Please join us.